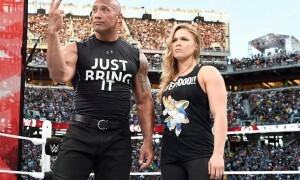 The Authority wasted no time in shaking things up on Monday Night RAW. It was quickly announced that the WWE world title match would get a new addition. Seth Rollins was added to the match, making it a Triple Threat Match. This one came out of nowhere. The booking change comes in plenty of time yet the plans have been in place for a Cena vs. Lesnar series to culminate at the Rumble for months. The sudden change has many wondering what the ramifications are coming out of the new matchup. The new matchup certainly shakes things up and makes the main-event even less predictable than before. 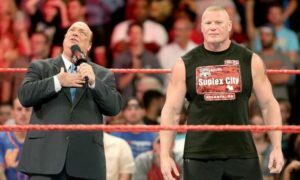 It was a given up until recently that Brock Lesnar would retain the title and go on to WrestleMania 31 and drop it to Roman Reigns. Quite honestly after the latest change to the match I think that is the least probable result. The other scenario many were talking about in the last few weeks was Cena winning. 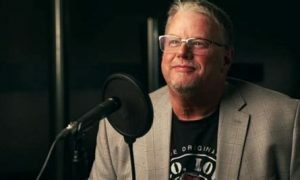 It was recently reported that the WWE Creative Team were giving serious consideration towards changing their original plans. The Cena plan would have had Cena winning the match at the Rumble and either going to Mania and wrestling Roman Reigns or immediately dropping the title to Seth Rollins due to a Money in the Bank cash-in. Now you have Rollins in the match. How does this change the landscape moving forward? For starters, the idea of Rollins suddenly cashing in doesn’t make sense. Although I wonder if you can have Cena win, Lesnar lay him out, and then Rollins cash-in right after the match? That could be a scenario. The other is Rollins winning and going to Mania to wrestle either Reigns or Daniel Bryan for the WWE title. In my mind this all seems like a gut reaction to all of the news and rumors surrounding Lesnar. Lesnar’s contract with the WWE expires right after WrestleMania. Mania would be his last match. It was expected months ago that Lesnar would sign a new deal, however the latest reports indicate that Brock is leaning towards returning to the UFC. The timing of this all seems too coincidental for the news not to influence the booking. A final thought is that Rollins is being booked as a sacrificial lamb. Maybe the idea is that with Lesnar leaving, they don’t want him to pin Cena on the way out? 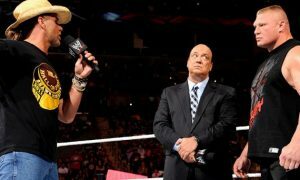 This way the company can proceed with its year-long plan to book Lesnar vs. Reigns and give Reigns the title and a Mania moment. Keep in mind that every year we hear rumors of Mania changes yet rarely does the WWE change direction. Last year was an exception and without CM Punk walking out I don’t know if those changes are even made. Regardless, this may be the first time in years that the result of the WWE world championship match is more intriguing than the Rumble winner.